1. Movement, as toward a goal; advance. 2. Development or growth: students who show progress. 3. Steady improvement, as of a society or civilization: a believer in human progress. 4. A ceremonial journey made by a sovereign through his or her realm. I've been busy this week. I'm a bit rushed to get as much done as I can because after working only about 3 months out of the last 18 I'm finally back into full time employment as of Monday. Waahooooooo! Sort of. I'm going to desperately miss the time home with the boy and time in front of the sewing machine, but we need the money. So, on to progress! 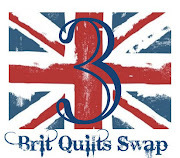 This is for my partner in the Brit Quilt Swap 3. The first thing I felt I had to do was complete one curve of each colour way. I needed to make sure all the colours flowed well and that it looks like a proper rainbow. I think it works really well! To save getting up so often and increase efficiency I started sewing two curves at the same time. This way I only had to get up to iron after two seams instead of every one. I got my speed down to about 45 minutes for each curve. With all of them done I was finally able to see how the quilt will take shape. The finished size will be 24" square. Cool! I really love it! It's going to be pretty hard to part with it, but I'm sure my partner will give it a good home. Now, a lot of people thought I was very brave for attempting curved flying geese for just my second progress. I have to say that the sewing so far was pretty easy and straight forward. The reeeeeealy scary part was coming up next... curved piecing! Yikes. I tried looking at tutorials online but I found them ugly, confusing and using too many pins. Brioni was at work so with no instruction, some heavy metal, and my newbie fearlessness I just gave it a go! It took me some time. I set the machine to go really slow and pieced the corners to the inside of each curve first. I started at one end and just worked my way around. I then attached the two middle pieces to one curve. This was a bit more problematic. I had to start in the middle and do a little at a time. I left the paper attached to the curve to give it some rigidity and I think it helped. Finally I lined up the other curve in the middle and worked out form there. The last step was to take off the papers, which was a HUGE pain, and then press the crap out of the block. I'm only about 90% happy with it because the edges don't line up and I think it'll cause me some problems when I put all four blocks together. I also have one in the pipeline that is a bit geeky. Can't say much about that one at the moment though! So that's my progress! I've use two definitions of the word as my project is moving on and my skills are growing. 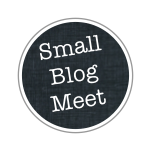 I've done a bio as part of a small blog meet at Lily's Quilts that you can see here, and a blog button for the Brit Quilts Swap 3 that you can get here if you're in the swap. Love your rainbow curved geese :-) I think a whole quilt at half size would be beautiful, but would drive me insane to make! For me I find curved seams go better when I pin the living crap out of them. Thanks Sadie! I think the big quilt will be one of those 6 month long, on again/off again projects. Something to sew a bit when there's nothing else on. Your work is awesome!!! I remember trying to teach you to iron when you were around 10 or 11. We laughed ourselves silly. Those geese are just gorgeous and I am so impressed that you just dove into curved piecing, it took me nearly two years to get up the nerve! Thanks Kelly! I guess it's because I'm new I just never assumed I wouldn't be able to do it.